At the crossroads of three continents, at the meeting point of great civilisations, Cyprus has developed - and for thousands of years has maintained - its own civilisation centre, assimilating the various influences from those who conquered the island. It has remained a thriving centre of Greek culture with some specific characteristics. The island is now a full member of the European Union. The Island of Aphrodite is the third largest island in the Mediterranean, situated in the east and in close proximity to the busy trade routes linking Europe with the Middle East, Russia, Central Asia and the Far East. Its climate is Mediterranean, with mild winters and dry summers while 17% of its surface is covered by vegetation, including forests of evergreen and deciduous trees, shrubs and flowers. The flora comprises about 1800 indigenous species, subspecies and varieties. The official languages are Greek and Turkish, with English and other European languages being very widely spoken. The cultural life of Cyprus finds expression through the creative arts: literature, poetry, concerts, opera, dance, painting and sculpture are some of its manifestations, with an abundance of museums and art galleries. 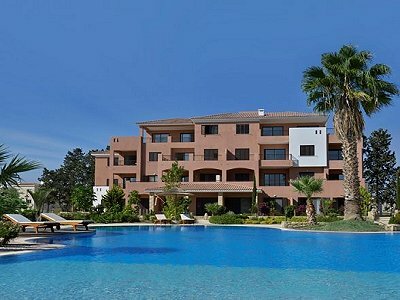 Are Cyprus property prices increasing? Cyprus is a small island with a limited supply of land and properties. As a result, property has been the traditional safe investment. 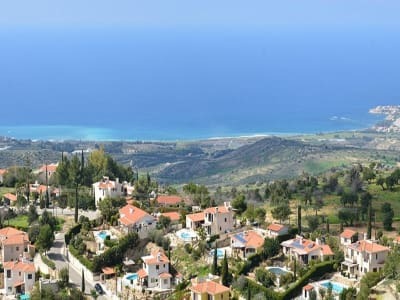 With Cyprus’ accession to the E.U., demand has continued to grow as not only do EU citizens purchase Cyprus property for holiday and retirement but now also for permanent residence. Many E.U. citizens are now deciding to both live and work in Cyprus. As of May 1st, 2004, the acquis communautaire has now been extended to the island. Due to Cyprus’ colonial legacy, the legal system on the island is based on the British and Greek legal systems, as is the Land Registry, which is considered to be one of the most advanced and reliable systems in the world. Purchasers of Cyprus property, therefore, will be far more secure, with regard to their title deeds, than they might be in other Mediterranean countries. Compared to many countries Cyprus property has flexible buying procedures. People of Cypriot origin and EU citizens are allowed to purchase however much property they choose. A non-EU citizen is entitled to FREEHOLD ownership of a villa, apartment, or a piece of land in Cyprus of up to 4,000m2. International business units may also acquire premises for their activities or for residence of their foreign employees. 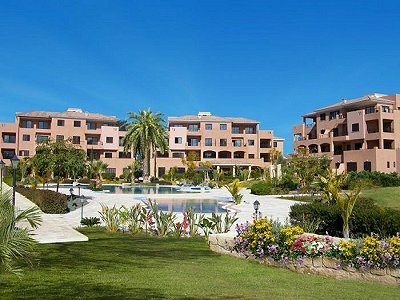 It is a requirement to pay for your property in Cyprus Pounds. Personal cheques, bank drafts and telex transfers are acceptable. 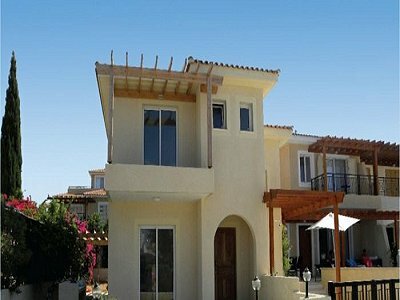 Having signed a contract of sale for your Cyprus property, it will be necessary to make an application to the Council of Ministers to grant its approval for a non-Cypriot to acquire immovable property. In case of selling Cyprus property, foreigners are allowed to repatriate the funds immediately to the value of the purchase price (including any amounts spent on improvements and/or additions to the property). Profits can also be repatriated. Cyprus is unique when it comes to the taxation aspects of living on the island. Cyprus has double taxation treaties with: Austria, Bulgaria, Canada, China, Czech Republic and Slovakia, Denmark, France, Germany, Greece, Hungary, Ireland, Italy, Kuwait. Norway. Poland. Romania, Russia, Sweden. UK, USA and Yugoslavia. Furthermore there are negotiations for the ramification of treaties with Egypt, Malta, Syria, Belgium, Finland and the countries comprising the Commonwealth of Independent States. The main purpose of these treaties is the avoidance of double taxation of income earned in any of these countries. For example. UK citizens may take advantage of the Double Taxation Treaty existing between the UK and Cyprus. This enables you to receive private and public pensions and investment income in Cyprus FREE of UK withholding tax. The remittance system compares extremely favourably with the tax system used in many other countries including popular sunspots like Spain. Recent tax reforms sharply reduce the tax burden and foreign residents are now taxed on a flat basis of 5% per-annum on pension income over £2000. There is 0% on investment income (i.e. dividends & interest) brought into Cyprus. In special circumstances exemptions totalling up to CYP 4,000 per person or CYP 8,000 per married couple may apply. Consequently, the total tax burden on alien residents is in practice often only 3%. This compares extremely favourably with competing destinations where property owners are subject to high tax exposure levels of up to 60%. Insurance pensions can be paid to retirees in Cyprus on a similar tax-free basis, and are index-linked by virtue of the Reciprocal Agreement, compared to their "frozen" status in other overseas destinations. Duty free cars and household goods are just two examples of the products that those who move into their Cyprus property can benefit from. Third country citizens benefit fully from these privileges. With respect to the rights of EU citizens, duty free privileges have changed since Cyprus’ accession to the EU, where now only retirees are eligible. These are necessary in order to transfer FREEHOLD ownership to your name. This can be done as soon as the relevant Government Authority has issued the title deed and the purchase of your Cyprus property has been settled. These are between 30-100 CY£ per annum depending on the size of the property and are for refuge collection, street lighting, etc. For foreign owned property that is sold, generous exemptions from capital gains tax exist. Estate Duty, which is paid on assets based in Cyprus, provides very generous allowances, which, in effect, means that in most cases nothing or only a small amount is paid. You may also make out your will as a Cypriot resident, which will exclude you from country of current residence inheritance tax. The purchaser is liable for the payment of stamp duty at the rate of 1.5 pounds per thousand up to the value of CY£ 100,000 and thereafter the rate is 2 pounds per-thousand. This duty should be paid within 30 days of signing the contract. Cyprus joined the EU on May 1st, 2004. Cyprus already exports 50% of its products to the E.U. and can expect to be transformed into a regional business center, as it has a democratic system of government, a free market economy, excellent telecommunications with direct dialing to over 200 countries, a favourable tax regime, bilateral investment agreements, double tax treaties and a strategic location at the crossroads of three continents. As of July 3rd 2004, the EU has implemented its new EUPETS policy, with Cyprus being a party to this agreement. In effect, it is mandatory for pets from EU countries to have an EU passport for movement between member states. Movement from a third country will require an additional EU Health Certificate. There are both junior and secondary schools in Paphos, of very high standards, catering for English and other students. The schools accept day students and also have boarding facilities. Additionally, there are a few colleges of higher education offering business studies, hotel management and many other subjects. The banking system in Cyprus closely follows the British pattern. The banks, having many convenient branches are efficient, modern and well equipped with the latest technology. Non-Cypriot citizens may open both foreign and local currency accounts. Many international banks have branches in Cyprus. Major credit cards, such as Visa and MasterCard are widely used. Transactions and payments are simply made through your foreign deposit account, making the upkeep of your Cyprus property quick and easy. Paphos, the birthplace of Aphrodite and the capital of Cyprus during the Roman years, is situated on the southwest coast sheltered from the north by the Troodos mountains and has the healthiest year-round climate in the Mediterranean. It is the most scenic town in Cyprus combining mountain, plain and sea. Buy Cyprus property and living in Paphos, one can enjoy the endless coastline of rocky coves and sandy beaches, swim in the clear blue seas or walk through fertile countryside. 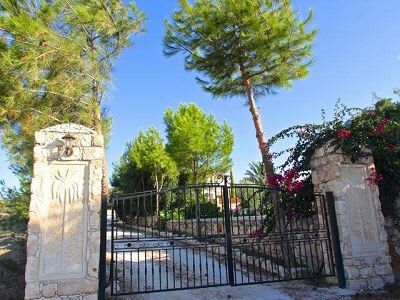 UNESCO has included Paphos in its World Cultural Heritage list and the Cyprus government has imposed planning and building restrictions, which guarantee its architectural character. Foreign Community: The population of Cyprus is 78 per cent Greek, 18 per cent Turkish and 4 per cent other nationalities. There’s a large foreign community, including many British residents concentrated mainly in resort areas. Geography: Cyprus is situated at the eastern end of the Mediterranean 64km (40mi) from Turkey and 122km (76mi) from Syria. It’s 240km (149mi) in length and 96km (60mi) wide, with a coastline of 782km (486mi). The northern coast is backed by the long limestone range of Kyrenia. The central plain between Morphou and Famagusta is fertile and well irrigated, and produces fruit, flowers and early vegetables. Climate: Cyprus is the sunniest island in the Mediterranean with over 300 days of sunshine a year and long, hot, dry summers and mild winters. Most rain falls between November and March. August is the hottest month, when temperatures are between 21 and 40ºC/70 and 104ºF, and January the coldest with temperatures between 6 and 13ºC/43 and 55ºF. Sea temperatures range from 16ºC/61ºF in January to 32ºC/90ºF in August. In winter it’s possible to ski on Mount Olympus in the Troodos mountains. Language: National languages are Greek and Turkish, although most Turkish Cypriots now live in the self-declared Turkish Republic of Northern Cyprus. English is spoken by some 90 per cent of Greek Cypriots. 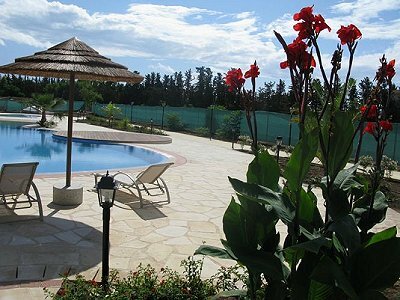 Market: Cyprus has a flourishing property market and it’s traditionally a popular location for both holiday and retirement homes. A wide range of properties is available, both new and old, including restored and unrestored old village houses. Areas: The most popular locations for foreign buyers are in and around the coastal towns of Ayia Napa, Limassol, Larnaka and Paphos. The Troodos mountains and the capital Nicosia are also popular. Local Mortgages: Mortgages of 70 or 75 per cent are available from local banks over five to ten years. There’s a mortgage registration fee of at least 1 per cent of the amount borrowed. Some new properties are sold on ‘hire purchase’ terms by developers, e.g. a 25 per cent deposit with the balance payable in monthly instalments over two to five years. Other schemes require one third on signing, one third during construction and the remaining third to be paid in monthly instalments over two or three years. Fees: Fees total around 10 per cent of the purchase price. Lawyer’s fees are between C£200 and C£500 or 1 per cent of the purchase price up to C£75,000. Stamp duty is C£1.50 per C£1,000 of value up to C£100,000 and C£2 per C£1,000 above this amount. The application to the Council of Ministers costs around C£200. A land registry fee or transfer tax is levied at between 3 and 8 per cent, depending on the value of the property. When a couple are buying a property together as co-owners, they can split the transfer tax between them. Precautions: Buyers should engage a local lawyer, although it isn’t required by law. Always ensure that the deeds are produced as required in the contract and make this a condition of a sale. Note that the signing of a contract and payment of a deposit can lead to a buyer being irrevocably committed, even if the title is defective or there are flaws in the contract. Building Standards: The design of new properties and developments has improved greatly in recent years, and the construction quality of new properties is generally high. The quality of older resale properties is variable and a survey is recommended on older detached properties. Crime Rate: Cyprus has one of the world’s lowest crime rates, and both serious crime and crime against property are relatively low. Medical Facilities: Very good. Many doctors are trained in the UK or USA, and inexpensive health services are provided at government hospitals. Private health insurance is necessary for retirees.